UPDATED: Fri., Jan. 4, 2019, 8:13 p.m.
Police are searching for a missing man last seen Wednesday in Airway Heights. Brian Kotka, 39, has a mental disability, according to his mother, Victoria Gregg. 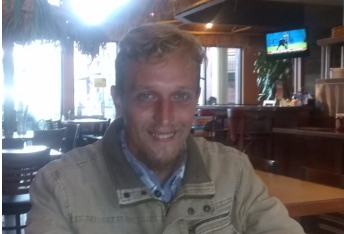 He was last seen at 6:30 p.m. at the Autumn Leaf apartment complex at 12911 W. 13th Ave. Gregg said he was going to walk to a nearby Taco Bell and return in an hour but never did. Kotka is 5-foot-9 and weighs about 150 pounds. Anyone with more information is asked to call Airway Heights Police at (509) 244-3707 and reference ca case no. 201984000040. Published: Jan. 4, 2019, 8:12 p.m. Updated: Jan. 4, 2019, 8:13 p.m.